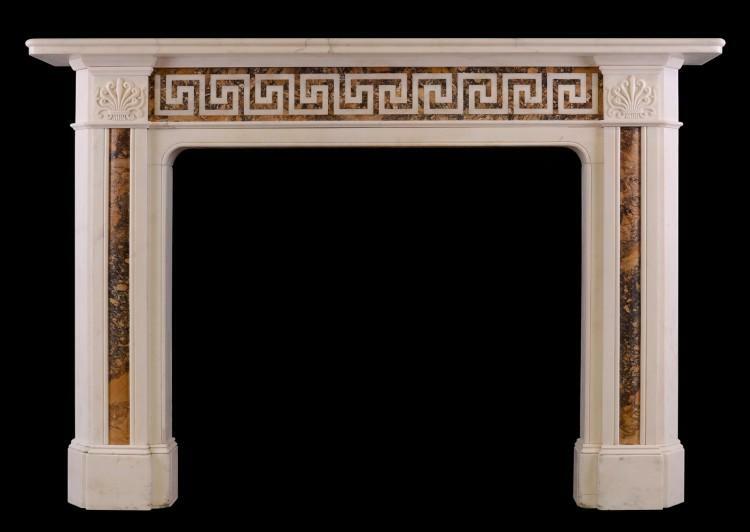 A good quality late Georgian antique fireplace. 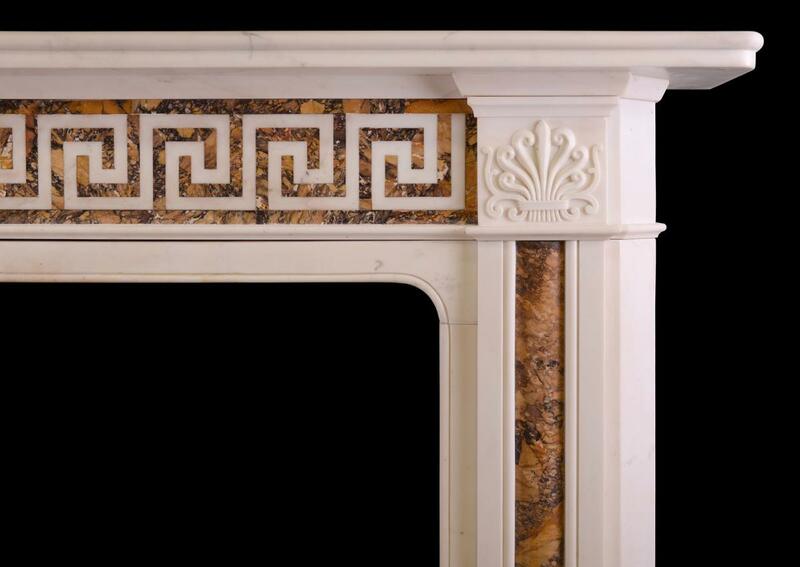 The Statuary jambs inlaid with Italian Siena marble, surmounted by carved end blocks featuring Anthemion palmette. 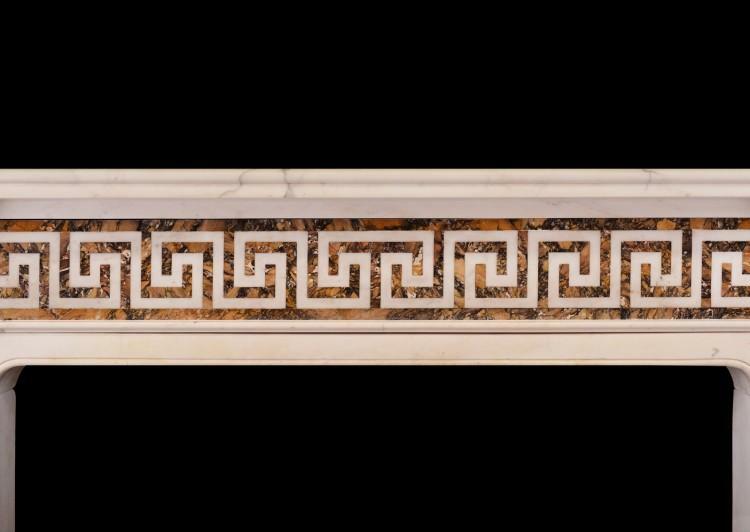 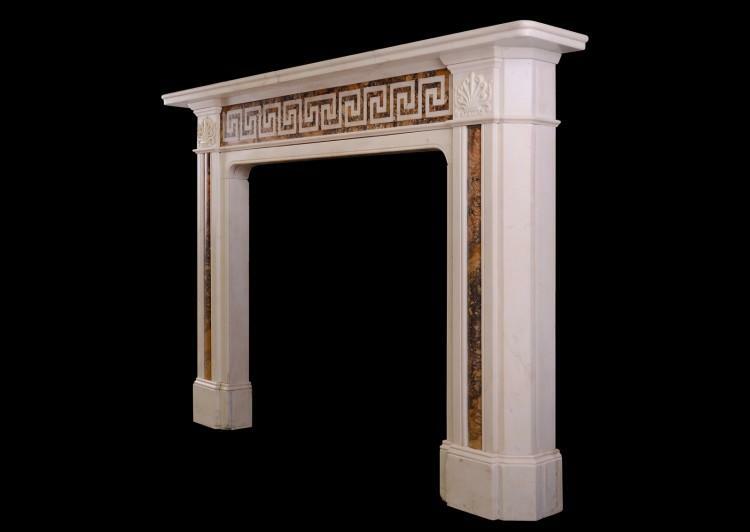 The Greek key frieze with matching inlaid Siena marble with moulded shelf above. 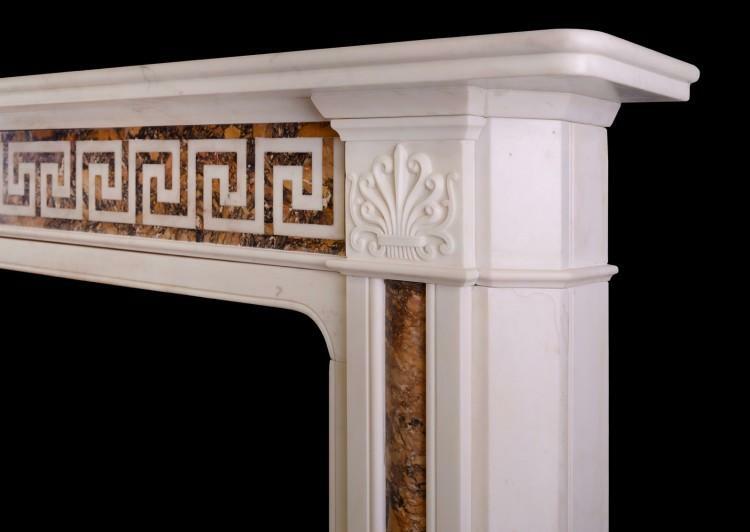 English, Regency circa 1800. Good quality Statuario and Siena marble.